If you’ve made a commitment to better health, you can depend on Accura’s Virgo Diet Scales to be by your side to help you - every step of the way. This unassuming set of scales will become your most reliable diet buddy. With a capacity of only five hundred grams, it’s perfect for helping you control the amount of food you enjoy as a part of your new, balanced diet. Before you know it, you’ll be on the track to a happier, healthier life. Watching what you eat just got easier! 500g capacity makes it easy for you to control your portions. Compact size won’t take up space on your bench. 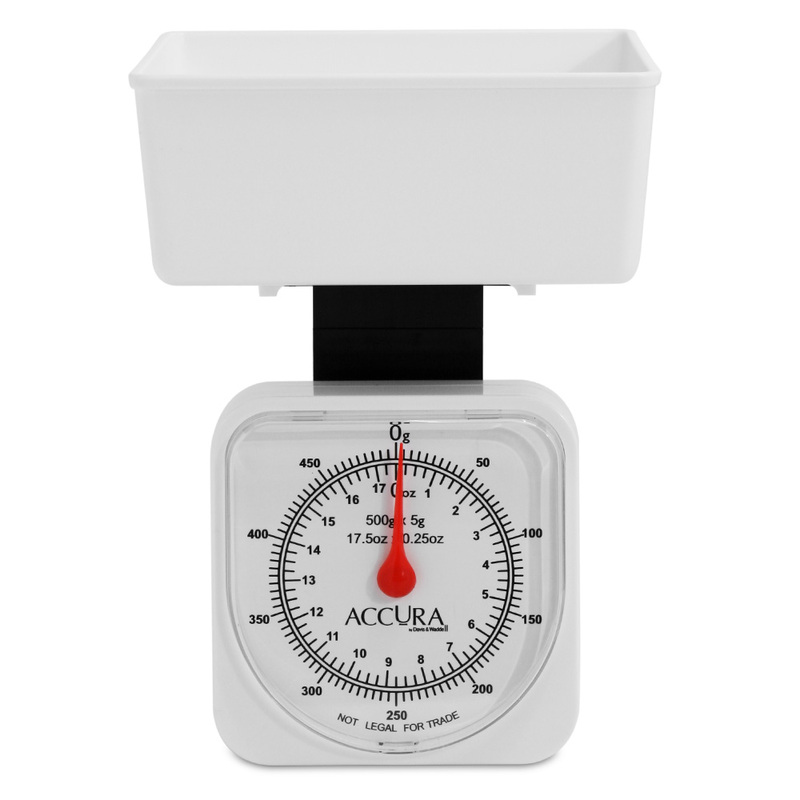 The plastic measuring bowl at the top lifts off for easy serving and cleaning. Measuring bowl is dishwasher safe.